During his career, Robert V. Glaser had a role as part of a team responsible for making a number of lucrative investments, one of these investments being the fine Mexican food restaurant chain Uncle Julio’s. In 1986, the first Uncle Julio’s opened to the public in Dallas, Texas. Seemingly experiencing none of the struggles often faced by new dining establishments, the restaurant’s popularity skyrocketed quickly. Demand for the frozen margarita/sangria drink known as “The Swirl” reached a fever pitch, further increasing Uncle Julio’s popularity and its clientele. 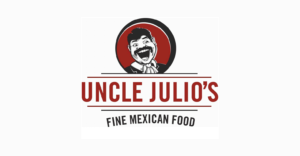 Today, there are more than 25 Uncle Julio’s restaurants in several states including Florida, Georgia, Texas, Illinois, and more. Uncle Julio’s take on Mexican food is a refreshingly distinct interpretation from the standard “Tex-Mex” food most people are used to. Only fresh, locally grown ingredients are used to create the food items, all of which are made from scratch each and every single day. The rich taste is combined with strong attention to providing an optimum level of customer service and a dining ambiance that is perennially welcoming.